On behalf of the Visiting Nurse Associations of America (VNAA), I would like to thank you for sponsoring the National Nurse Act of 2013 (H.R. 485), as well as express our full support of this legislation. If passed by Congress, this legislation would enhance the critical role nursing occupies in our country’s health care infrastructure by establishing a full-time National Nurse of Public Health. VNAA represents nonprofit home health and hospice agencies across the United States. Our members and their staff of committed nursing professionals serve patients with chronic conditions, as well as provide transitional care and chronic care management. They serve patients regardless of their ability to pay and work to support their communities through wellness programs and vaccination campaigns. Now more than ever, nurses must continue to be proactive in the fight against illness and disease. We recognize the potential of having the National Nurse for Public Health as a representative who would meet with health care leaders to determine ways to address continued health disparities and access issues for the country’s most vulnerable. We thank you for introducing this legislation and are ready work with you and other health care advocates to help move this legislation forward. The American Association of Occupational Health Nurses (AAOHN), the 6,000 member organization for the nurses who care for American’s workers, supports the National Nurse Act of 2013 (HR 485). The role of public health needs to grow for America's healthcare system to move from an illness to a prevention/wellness paradigm. Establishing this National Nurse position demonstrates continued commitment from the federal government and gives support for programs in communities. Because public health and occupational health are both vital subspecialties of Community Health Nursing, this is a great opportunity to partner with public health. We need to work together with this office to protect the health of all community members. The occupational and environmental health nurse plays a pivotal role within a community by promoting the health and safety of workers, protecting families from adverse environmental effects through community education, and participating in community public health disaster preparedness. We can also provide input to national health priorities, health promotion and disease prevention, and education. Nurses across the country continue their quest to slow rates of chronic disease and thus reduce Medicare and Medicaid costs. Their solution: Involve more nurses in PREVENTION through a visible prominent nurse leader. Legislation is now in both chambers of Congress that will designate an existing position, the Chief Nurse Officer of the U.S. Public Health Service, as the National Nurse for Public Health. This action will provide more impetus to promote the Medical Reserve Corps, strengthen existing public health infrastructure, and mobilize available resources of willing nurses and other healthcare workers within each community to deliver and reinforce messages of disease prevention. Representatives Eddie Bernice Johnson (D-TX) and Peter King (R-NY) began the effort on February 4, 2013, introducing H.R. 485 The National Nurse Act of 2013. Already, H.R. 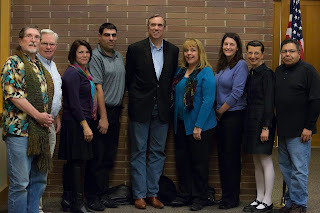 485 has garnered bipartisan support from 77 members, prompting Senator Jeff Merkley (D-OR) to introduce a companion bill, S. 1475 in the Senate on August 1, 2013. 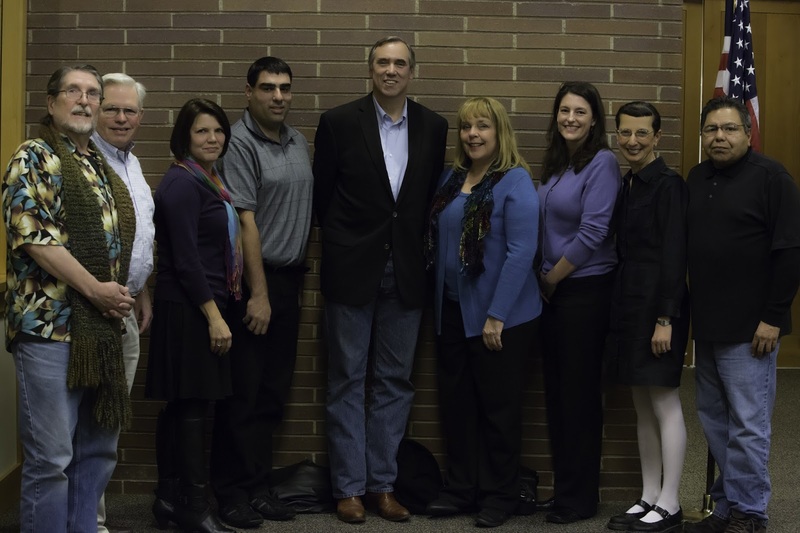 Merkley established the Senate Nursing Caucus in 2010 to provide a forum for senators to advance the important role of nurses in the delivery of high quality healthcare. As a national advocate for nursing actions to champion public health in all communities, the National Nurse for Public Health would collaborate with the Office of the Surgeon General to identify and address national health priorities; serve as a visible national spokesperson for engaging nurses in leadership, policy, and prevention efforts; and encourage health professionals to work with their local community programs to improve health. Diabetes, cancer, and heart disease, and underlying causes such as obesity and tobacco use, affect more than 130 million Americans and contribute greatly to our out-of-control healthcare costs. According to the Partnership to Fight Chronic Disease, these conditions cost more than $1 trillion a year, and if there is no change, could balloon to nearly $6 trillion by 2050. Preventable and highly manageable chronic diseases account for 75 cents of every dollar we spend on healthcare in the U.S, every day, every year. Even more daunting, chronic disease costs consume more than 90 cents of every dollar spent on Medicare and Medicaid. In contrast, the U.S. spends less than 5 cents on prevention. For more information and for a list of the 135 endorsers, visit http://nationalnurse.org or email the National Nursing Network Organization’s Board of Directors.